Can Dogs Eat Tomatoes? Are Tomatoes Bad For Dogs? Tomatoes are obviously a common and popular fruit, appearing in everything from salads to pizzas to curries. But just what nutritional benefits do they offer? Well for a start, tomatoes are a great source of vitamin C which is an antioxidant and helps to keep your body’s cells healthy. Vitamin C is also needed for the production of collagen, which is important for your bones, blood vessels and other structural parts of your body. And vitamin C is also good for your brain and your mood too, as well as helping to prevent diseases such as cardiovascular disease and cancer. Tomatoes are also full of other antioxidants too, and they’re also high in potassium, which improves the functioning of your heart and kidney, lowers your blood pressure and reduces the risk of stroke. And tomatoes are full of fiber too, as well as containing few calories. All-in-all then, tomatoes are a very healthy fruit for most humans. But can dogs eat tomatoes safely? Tomatoes are actually a member of a food family called nightshades. Other members include potatoes and many peppers. An interesting fact is that nightshades were considered too poisonous to eat until as recently as the 1800’s, mainly because some varieties – for example, the well-known “deadly nightshade” – were known to definitely be poisonous. Of course today most of us eat some forms of nightshades every day, even if we’re not aware that’s what they are. For example, when we eat fries or ketchup we’re actually eating nightshades. With tomatoes the main toxic element is called tomatine, which is the plant’s main defense system to prevent it being eaten. Tomatine is found throughout tomato plants, but the highest levels are in the leaves and the stems. And it’s most important to the tomato plant to protect its fruits when they’re still green and their seeds haven’t been spread, and so more tomatine is produced at this time. This means that green tomatoes contain more tomatine than the ripe red tomatoes. As far as dogs are concerned, tomatine is toxic. However, their intestinal tracts don’t actually absorb it very well and because of this, and the fact that tomatine levels in the actual ripened tomato fruits are low, most dogs can eat tomatoes safely as long as they’re ripe, red tomatoes. And when they do, they gain all the same health benefits from them that we humans do. Dogs definitely shouldn’t eat the other parts of tomato plants though, and you should also avoid giving them un-ripened green tomatoes too. If you see any of these symptoms and you think your dog has eaten tomato plants, you should consult your vet. Likewise, if you do give your dog tomatoes and they suffer some sort of reaction (normally, an upset stomach or diarrhea), you should avoid giving them tomatoes in the future. And even if your dog is fine eating tomatoes, you should only give them in moderation. Although tomatoes are members of the nightshade family and contain toxins, most dogs can safely eat the ripe, red tomato fruit and enjoy the many health benefits they offer. Avoid giving your dog green tomatoes and other parts of the tomato plant though. And make sure you only give your dog tomatoes in moderation. 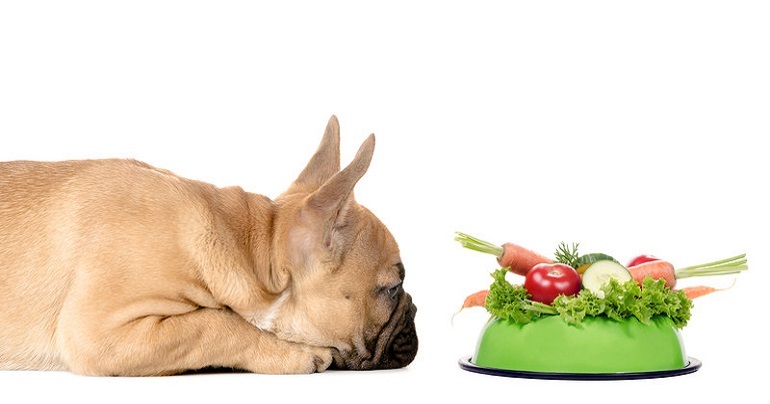 The best basic normal diet for your dog is a high quality dry dog food from a reputable brand.